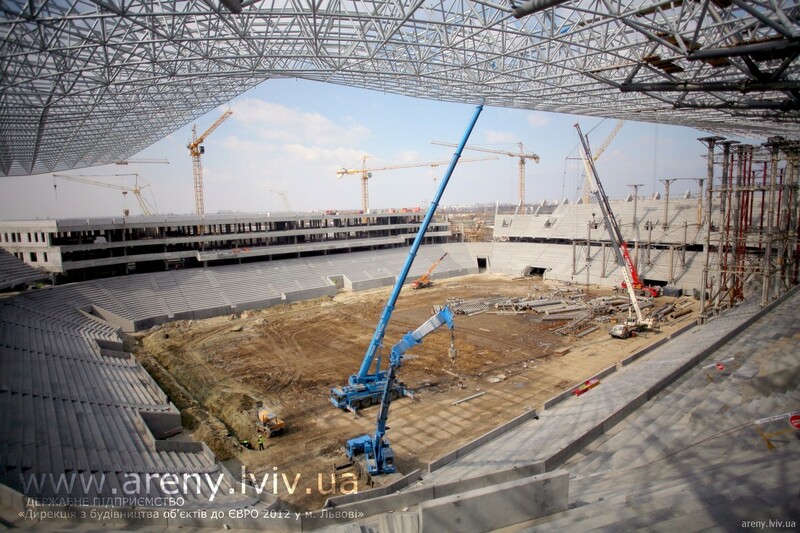 Nearly 900 million PLN was spent on the stadium in Lviv, one of the four Ukrainian stadiums for Euro 2012. The stadium in Lviv will be the stadium at which three matches in group B (9, 13 and 17 June) will be played. It makes space for about 33 thousand fans. It is located on the southern exit from Lviv, just 12 km from the city center and about 8 km from the airport, at the end of the Stryjska street. There is 4500 parking places available, with 100 designed for the disabled, 140 for VIPs and 300 for the media. There is also a presidential box, 14 corporate boxes and 192 seats for VIP, 408 business boxes, 540 journalist boxes and 104 seats for the disabled. The restaurant with high standard may find place for 408 guests. For others there will be 19 fast-food-type bars. 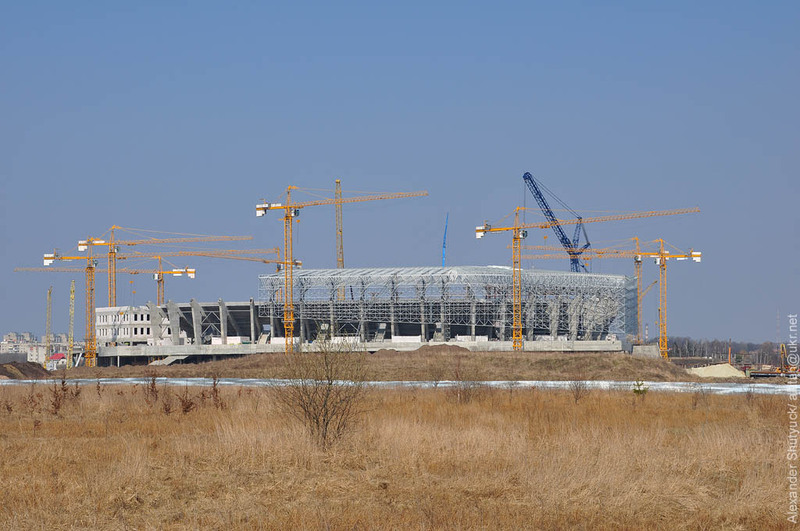 The construction of the stadium began in November 2008 and proceeded with great difficulty. In September 2009, the media received information from the secret report of UEFA, which showed that the chances of completing the construction on schedule were little. UEFA dramatically assessed the construction works, because there was not even a prepared design of the stadium. To eliminate the delay, in August 2009 the company Azovintex introduced a 24-hour-work system. However, in February 2010, the construction was completely halted due to lack of an agreed project. The stadium was to be ready in July 2011, however its opening was scheduled on late October 2011. The construction costs amounted to 2 billion 287 million hryvnias (about 879.6 million PLN). Germany – Portugal (June 09, hour: 20:45 Polish time). Denmark – Portugal (June 13, hour: 18:00 Polish time). Denmark – Germany (June 17, hour: 20:45 Polish time). At the main page photo of Lviv Arena is wrong. Be professional. You have posted photo of Kyiv Olympik stadium as a main photo of Lviv’s stadium!